Google Glass is the new wearable computer everyone's talking about. It offers a head-mounted optical display and touch interface, and it's programmable. Kick-start your Glassware development by exploring how users can interface with Glass, developing a Glass application fast by using the Mirror API to manipulate Timeline cards and menus, tracking a Glass's geolocation, creating rich interactions by responding to user inputs, and capturing or serving user images and videos. This is the book to read for a shortcut to this brave new world. Google Glass is the next big thing in portable technology a wearable computer with an optical head-mounted display. 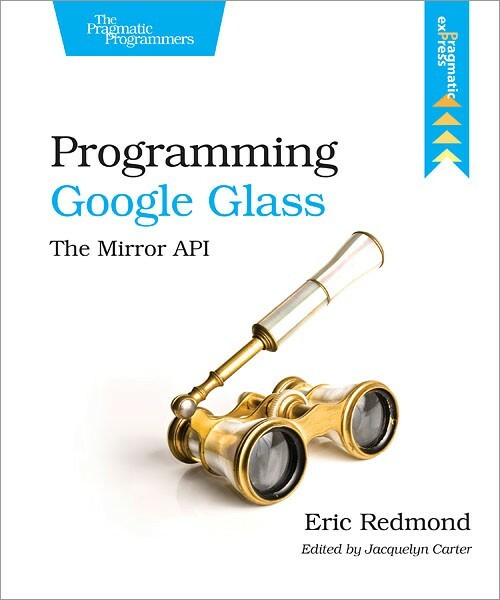 Programming Google Glass is your all-inclusive guidebook for crafting your own Glassware using the Mirror API. You'll start by setting up a production-ready service using Google App Engine, then provide Glass users an authorization to your Glassware. You'll learn how to handle the provided credentials, and from there you'll dive into the parts that make up the Glass interface, managing the timeline and creating cards and menu items. Next you'll create services where the user can interact with your server, such as geolocation tracking, change notifications, and custom menu options. You'll use this information to create a sophisticated application that suggests local restaurants. You'll see how to attach or detach assets, images, and video, and learn the basics of the emerging field of optical-display design. You'll see how to properly design new Glassware and update existing applications to become Glassware. Now is the best time to be an early adopter of a technology that will only become more advanced, nuanced, and ubiquitous. You will need a Google Glass device and Java 1.6 or greater. An Android device, like a smart phone or tablet, is also helpful, but not necessary.